Kodi Leia adds the ability to play games. This is a major feature, so I'll document all the changes and additions I made to allow game support. FullscreenGame (VideoFullScreen.xml) - This window is analogous to FullscreenVideo, but doesn't use any controls. Games (MyGames.xml) - The game library window. Incredibly limited, just files and add-ons, I could use some help improving this. GameVolume (DialogSlider.xml) - The dialog for changing the volume. Game plays in the background. Because we lack a useful game library (help wanted! 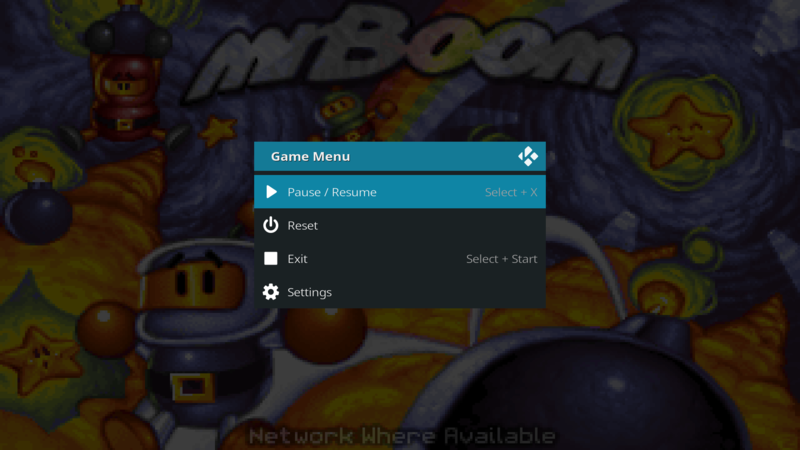 ), the in-game menu is the heart of games in Kodi. It allows the user to control the game, exposes button combos, and tweak the video/audio/input/emulator settings. This guide explains the reference game OSD we ship in Estuary. This dialog is tied to the gameplay speed. The goal is to never occlude a playing game, and to always pause an occluded game. This means that play/pause will toggle the OSD as if the action were an OSD show/hide command. Currently, the skin is almost entirely responsible for the main OSD - very little happens in core. The skin only needs to send the related player commands and open the various settings windows. The button combos for these commands are specified by the <FullscreenGame> tag in joystick.xml. NOTE: The button combo labels in Estuary are currently HARDCODED. In the future the label will be dynamically set by core. The only aspect of the Game OSD controller by cores is the gamesgeneral.showosdhelp setting. If this is set, a help dialog should be shown, possibly instead of the actual OSD. This can be tested for using System.GetBool(gamesgeneral.showosdhelp). ID 1102 - A gamecontroller control. The controller ID is currently set to game.controller.snes in core. In the future, skins can override the controller ID. The skin can also use string ID 35236. If (and ONLY IF) these control IDs are visible, then when the OSD is closed, gamesgeneral.showosdhelp is set to false instead of closing the dialog. 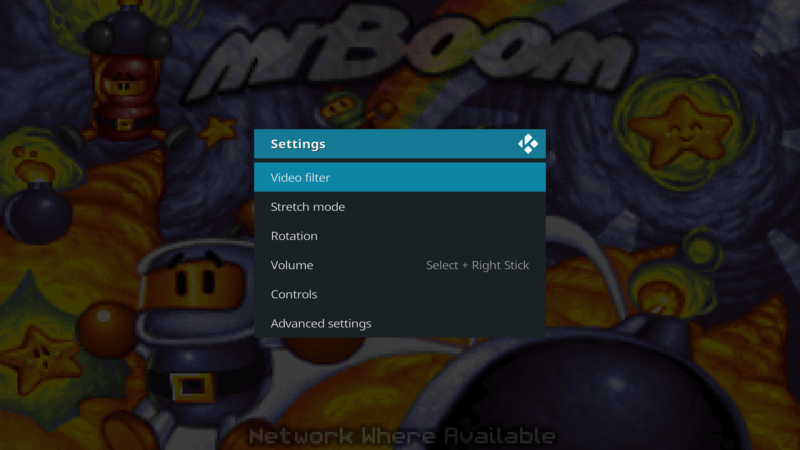 To achieve a root OSD as simple as possible, the various settings have been grouped into a custom window. This is optional. These dialogs function similar to the normal select dialog, but can be overridden by the skin by checking the active window ID. For example, Estuary uses Includes_DialogSelect.xml to show a selection of gamewindow controls with the active game in the background. If one of these tags is left empty, then the gamewindow control will use the global setting used by the fullscreen window. This dialog is used to configure the controller mappings. 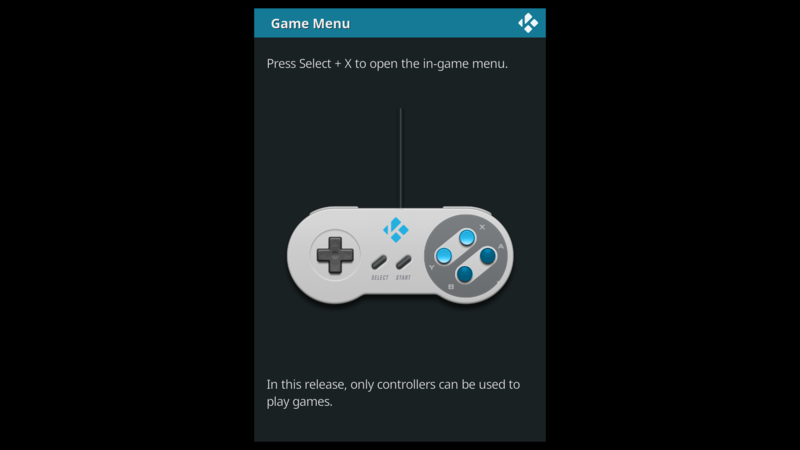 It has a list of controllers, and a list of features for the active controller. A wizard allows the user to select a controller, and then walks the user through mapping each feature on that controller. If a game is being played, only compatible controllers (and its compatible features) are shown. If no game is played (e.g. the dialog is opened from settings), then all installed controllers are shown. This is a virtual window ID. When the skin calls ActivateWindow(GameAdvancedSettings), the AddonSettings dialog (DialogAddonSettings.xml) is opened for the currently-active game client. How do i recall fastly games add-ons? I do have a question for the game add-ons addition. A Python game addon is the a literal game? Or a game provider? Assumeing the game plugin is a provider what benfit is it to using this over a video plugin it should just provide a list correct? I've tried to keep Metropolis as current as I can with games features and have temporarily been giving poster art support by using the following. 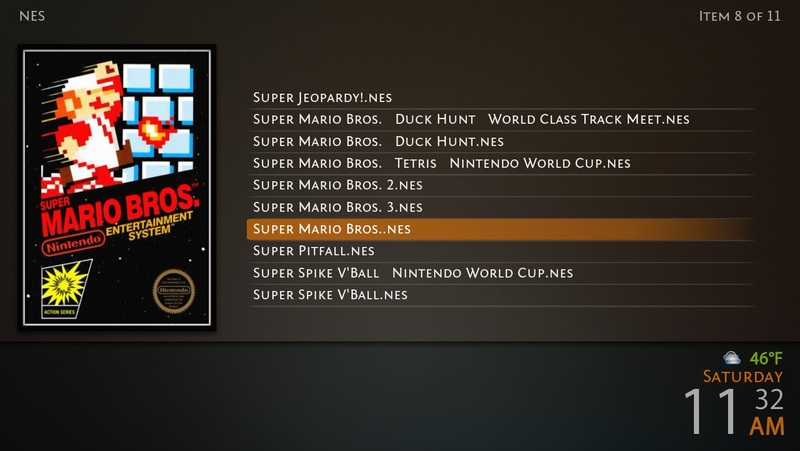 and naming supporting image files with double extensions such as "Donkey Kong.nes.jpg"
This has worked well in listviews for the time being. Do you know when game image support will be coming to the database?